Create a special Personalized We Love You Word-Art Photo Mug for him or her. 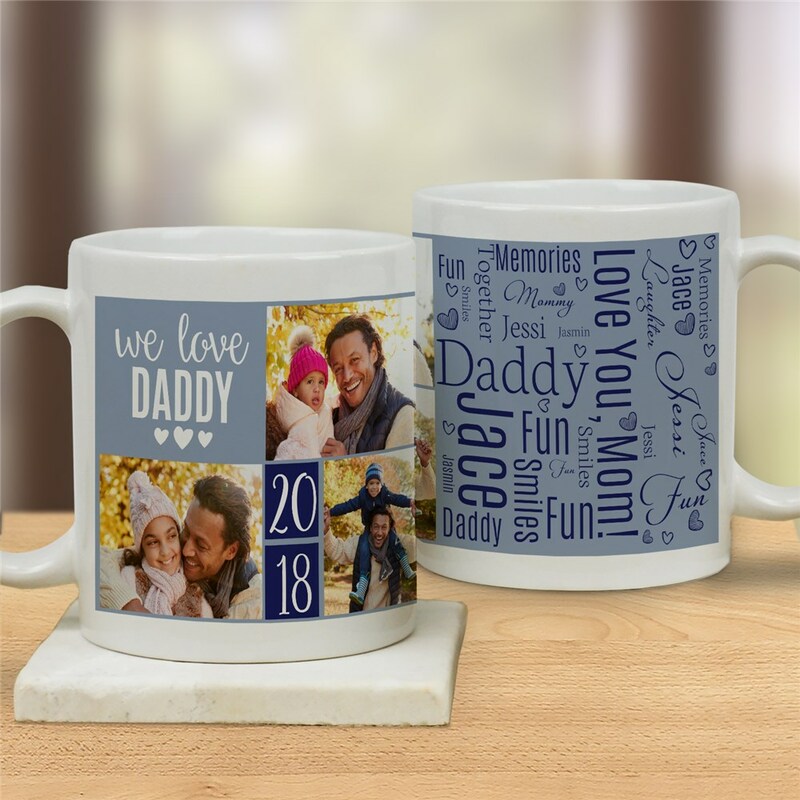 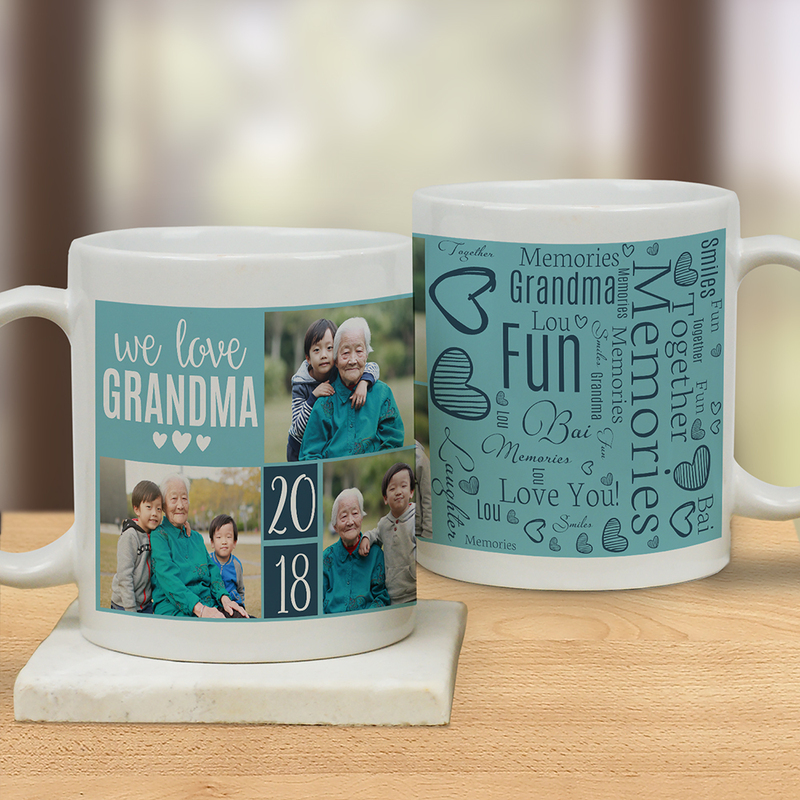 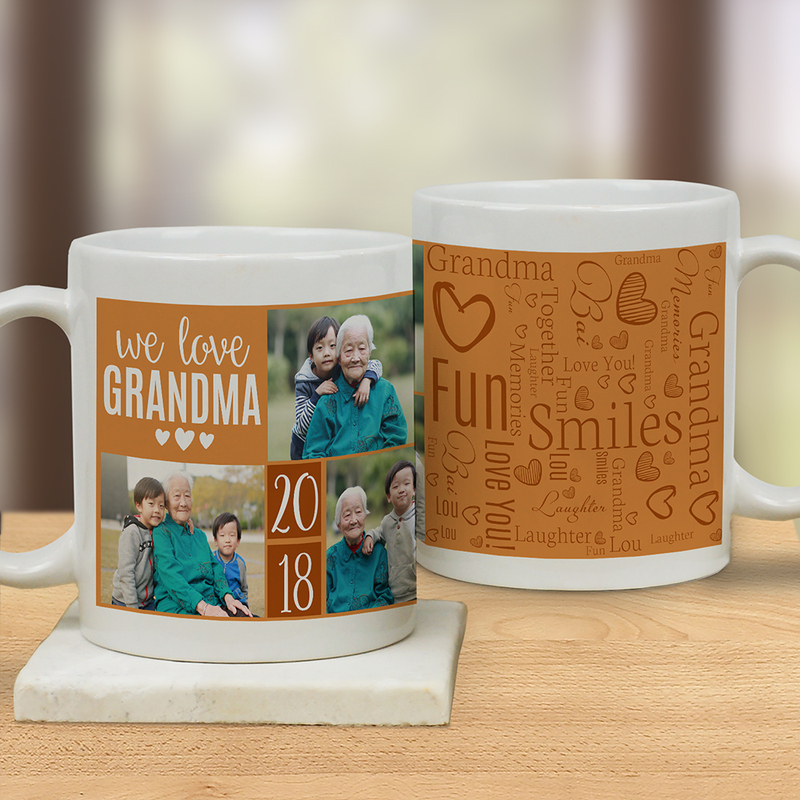 These personalized mugs will be created just for you with any photo, any title, any year and your choice of names or phrases using our exclusive word-art tool. 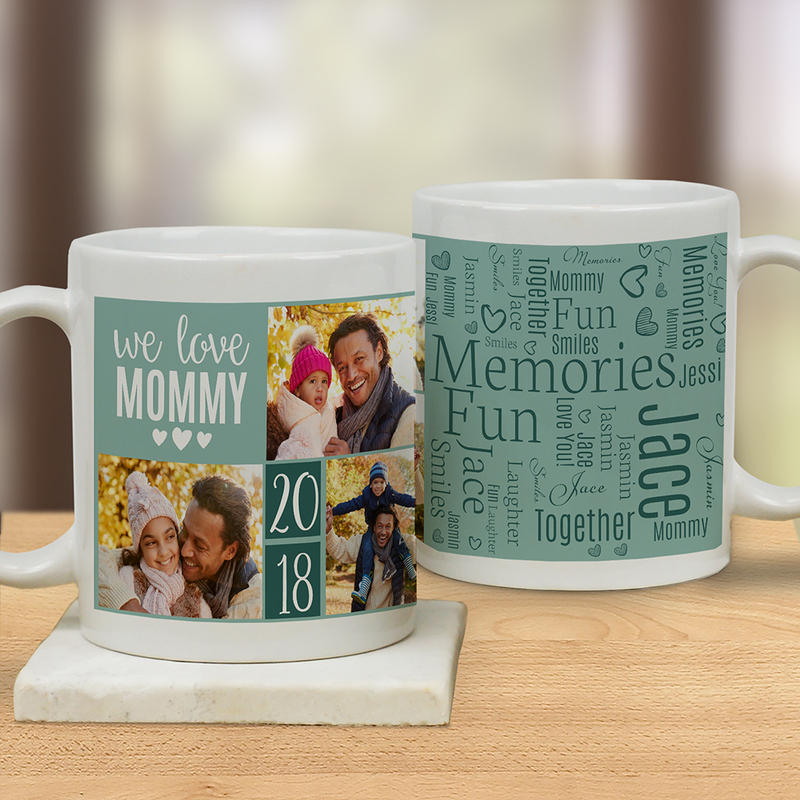 If you would like to see another rendition of your word-art creation simply click "View Your Personalization" button again! 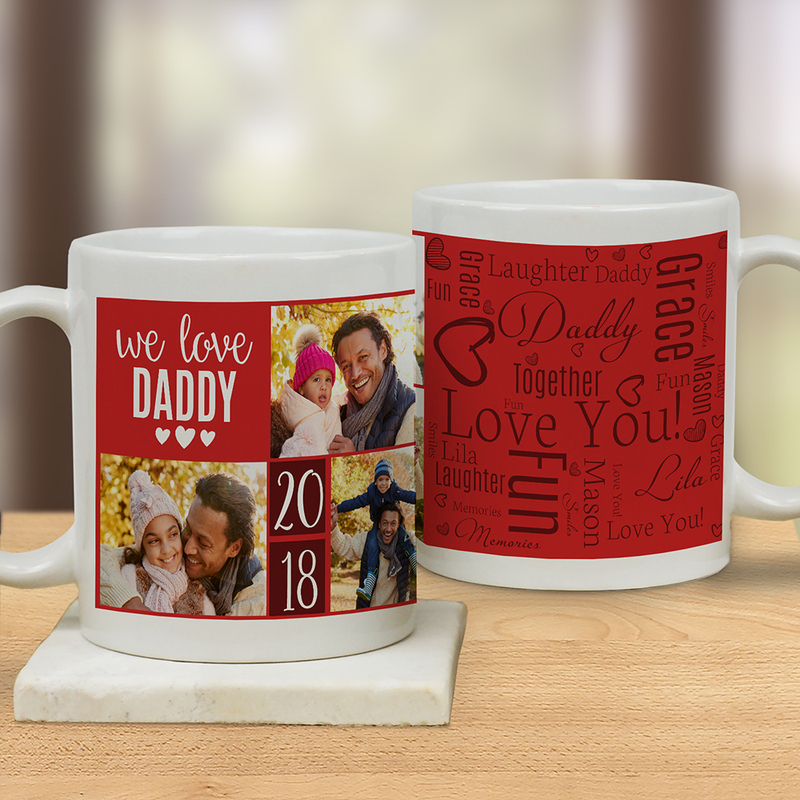 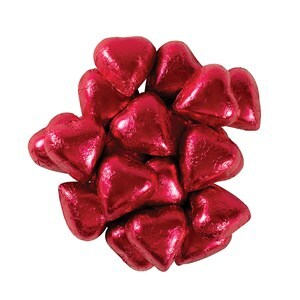 Makes a great gift for any family member for Valentines Day or Birthday! 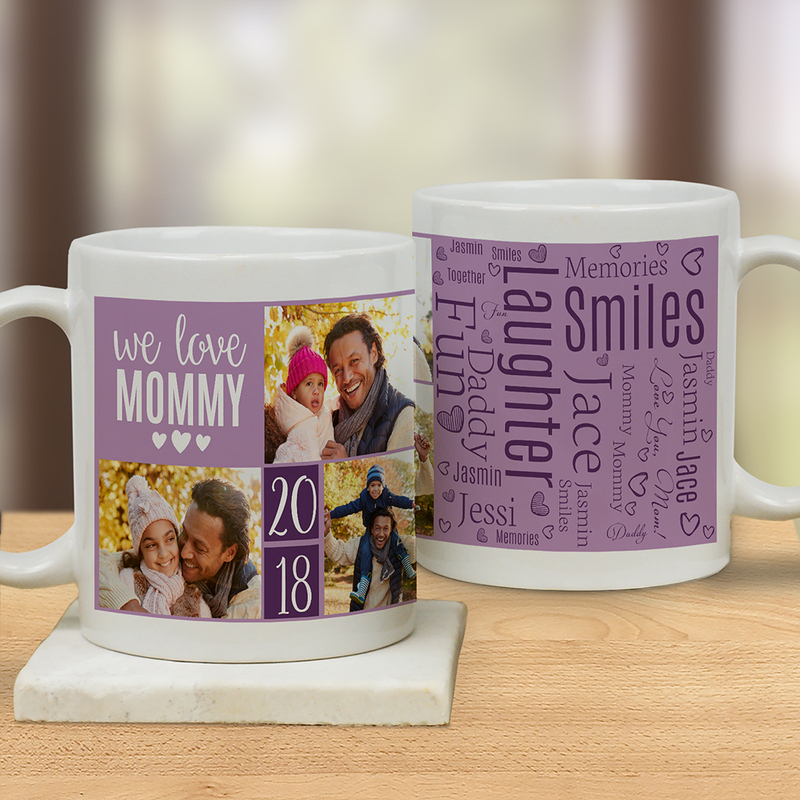 Laughter Smiles Fun Memories Together Love You!